So today we had a late start (yay!) and then went for Sunday brunch at Mo's in Burbank. Every dish ordered came with complimentary champagne (and the food was really good too!). We then went for a drive through the Hollywood and Beverley Hills before heading down Wilshire Drive to Santa Monica. 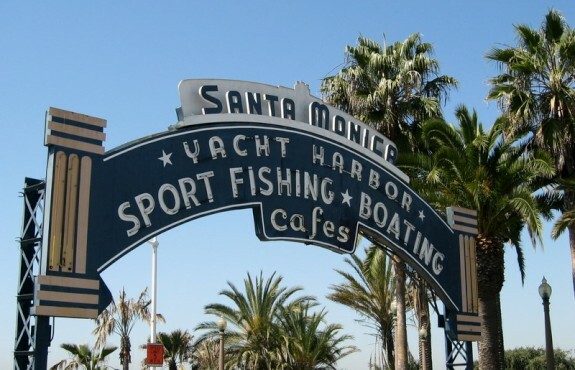 We parked at Santa Monica Pier and wandered along it before walking the foreshore all the way to Venice Beach. I love seeing all the characters down towards Venice Beach! As we walked back towards the pier, the sun was setting over the Pacific Ocean...so lovely! We had dinner at Bubba Gump Shrimp Company at the Santa Monica Pier and the food was fantastic (I had red snapper, red potato mash, sauteed spinch with lobster butter sauce..yum! ).